This is an optional SWorkz S350 42 Tooth Crown Gear. 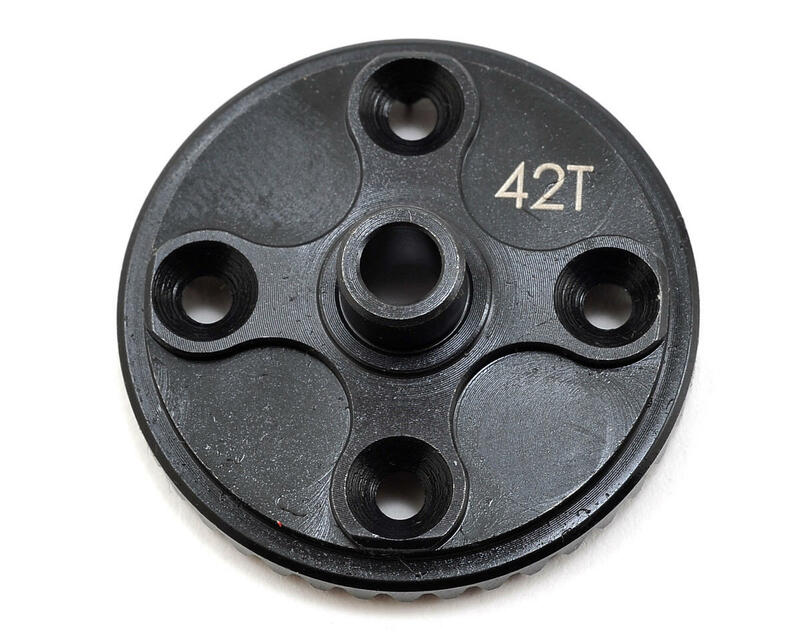 This gear provides an "under drive" gear ratio when used in the rear position, creating less rear end drive that allows the car to pull harder from the front. This is a great option for loose track conditions. 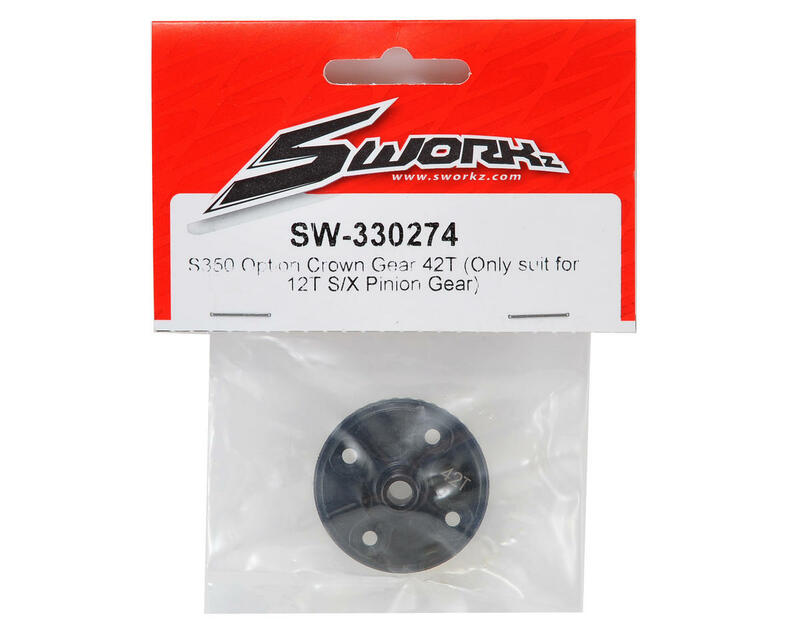 NOTE: This crown gear must be combined with the optional SWorkz 12T S-System (SWX-330273) or 12T X-System (SWX-330276) pinion gears and is only compatible with SWorkz S350 vehicles equipped with the X or S-System drive train.